Some, including the province, believe an exemption for new units would boost Ontario's much-needed housing stock. Others argue there's no evidence the newly-announced changes would help. "Everybody who's an existing tenant today is protected... but the challenge for the future is, there is no supply," said Finance Minister Vic Fedeli at Queen's Park. Ending rent control could be the only way to fix that, according to Benjamin Tal, a deputy chief economist at CIBC who supports the province's changes. "We have to encourage builders to build purpose-driven rental apartments," he said. "The only way to do it is to allow them to charge increased rent." But the NDP's Andrea Horwath, leader of the opposition, said affordability is the central problem. "So by getting rid of rent controls we're just going to guarantee that those developers can charge whatever price they want," she noted. "But people are not going to be able to afford the units." Others say there's no proof that nixing rent control would fix the supply problem in the first place. 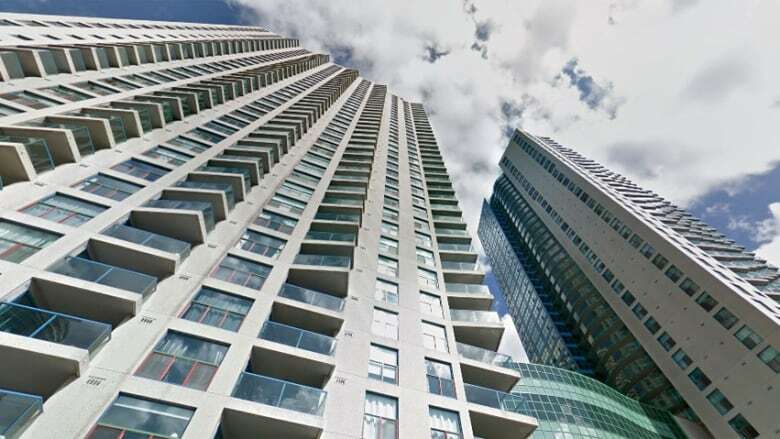 "We know that in the past we've had the exemption from the rent control and it hasn't produced the much-needed rental stock in the region, and that's why we are in the situation we are," said councillor Ana Bailao, chair of the city's affordable housing committee. Doug Ford’s decision to remove rent control from new buildings will make Toronto even less affordable. It removes tenants’ rights &amp; drives young people out of our city. This affects people’s ability to make ends meet. Ford’s doing this for some landlords, not “for the people”. Councillor Josh Matlow's office also released a statement saying there's no evidence that the move will boost supply and lead to lower rents. According to analysis firm Urbanation, the statement notes, the current rental construction rate is the highest seen in three decades, even though it follows the previous Liberal government's rent control expansion efforts in 2017. That year, the province expanded rent control to all units, including those built after 1991 — closing what many saw as a controversial "loophole" — and ensuring annual rent increases for existing tenants would be no higher than the rate of inflation. The changes followed stories about massive rent increases experienced by Toronto tenants featured in CBC Toronto's series No Fixed Address. "I'd like to congratulate our millionaire premier on signing the eviction orders on thousands of tenants going forward," said Dent, executive director of the Federation of Metro Tenants Associations. "The reason why this law was changed is because what was happening in new units was, anytime you had somebody who said, 'I want the fridge repaired, I want the stove repaired,' they were getting hit with thousand, two thousand, ten thousand dollar rent increases — that's the system he's going back to." Dent said the Liberals' changes "provided stability" to thousands of tenants, something that's now "gone out the window." According to Mayor John Tory, affordable housing initiatives should precede any rent control changes. "The housing affordability issue in Toronto is too serious to consider relaxing rent controls before increasing supply," he said in a statement. Tory also said he's looking forward to seeing more details about the province's Housing Supply Action Plan, which is set to launch in spring 2019. The province has revealed little information on the plan so far, beyond the rent control reforms and a decision to scrap the Development Charges Rebate Program, which is expected to save roughly $100 million over four years. The province's economic review documents note the plan to boost supply will include both short-term and long-term actions informed by public and stakeholder consultations, which are set to begin "immediately." Dent isn't convinced the moves will truly help cash-strapped Toronto renters — and he questioned why Premier Doug Ford changed his tune on rent control since the spring, saying Ford broke a campaign promise to keep things as-is. In a statement posting to the Ontario PC party website on May 15, Ford said he learned Ontario residents were "struggling" while criss-crossing the province. "I have listened to the people, and I won't take rent control away from anyone. Period," Ford's statement continued. "When it comes to rent control, we're going to maintain the status quo." Speaking on CBC's Metro Morning on Friday, Fedeli defended the decisions made since those campaign trail comments, saying Ford isn't taking away rent control from anyone because the changes only apply to new units going forward.